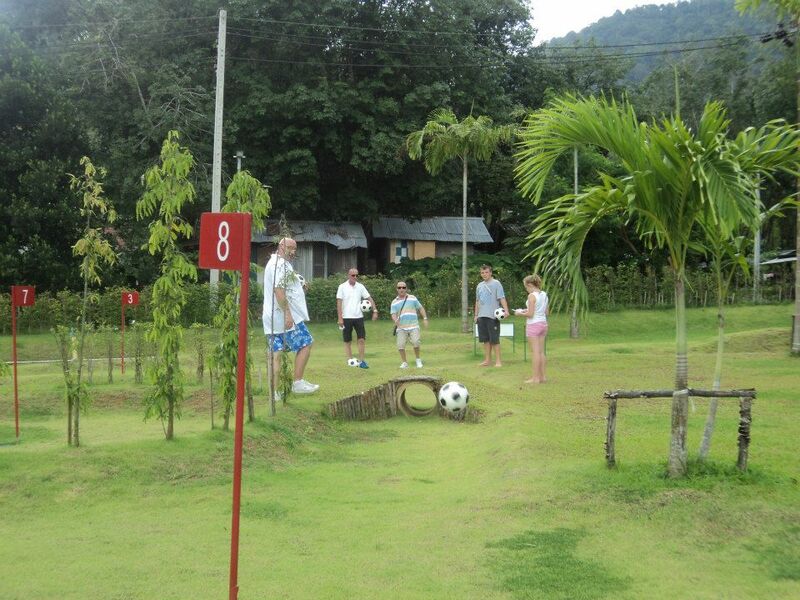 Football Crazy Golf, Kathu, Thailand…………Going to Thailand this year? I wanted to take some time out to tell you about my eldest son Peter who now lives in Thailand with his two boys and wife. 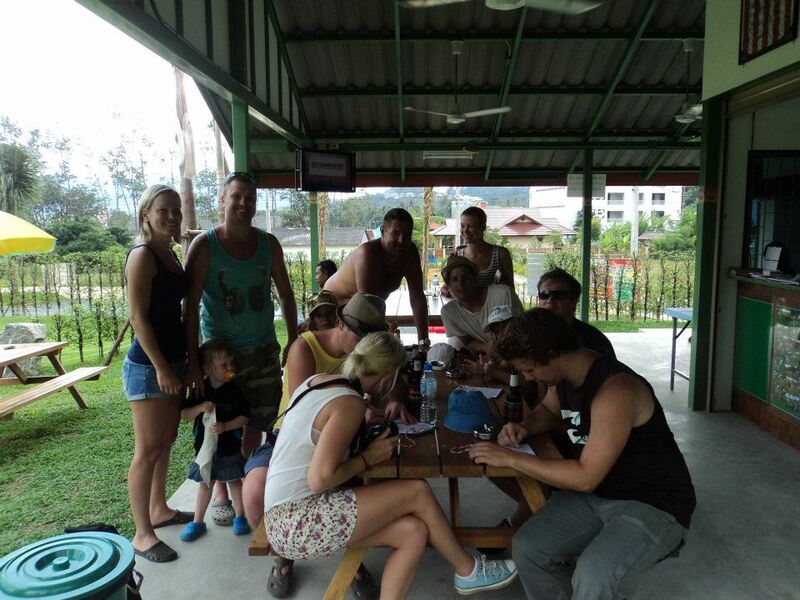 He has a place for family fun out in Kathu, its called football crazy golf, If you go to ~Thailand its a must fun for all the family beautiful site, great company and lasting friendships forged. 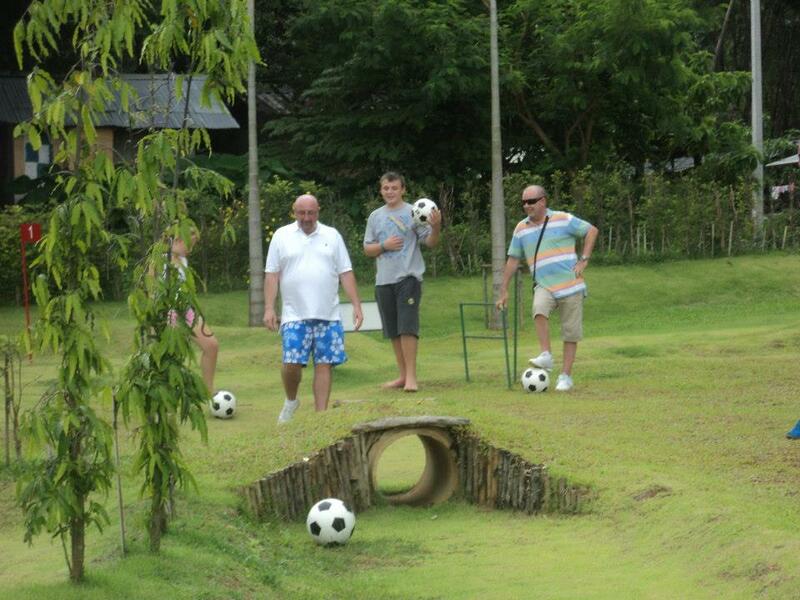 Discover Football Crazy Golf, a mix of Football & Golf. Challenge the 18 holes mini-golf course & enjoy refreshments. Get great pictures & have fun with your friends. Description of Football crazy Golf. 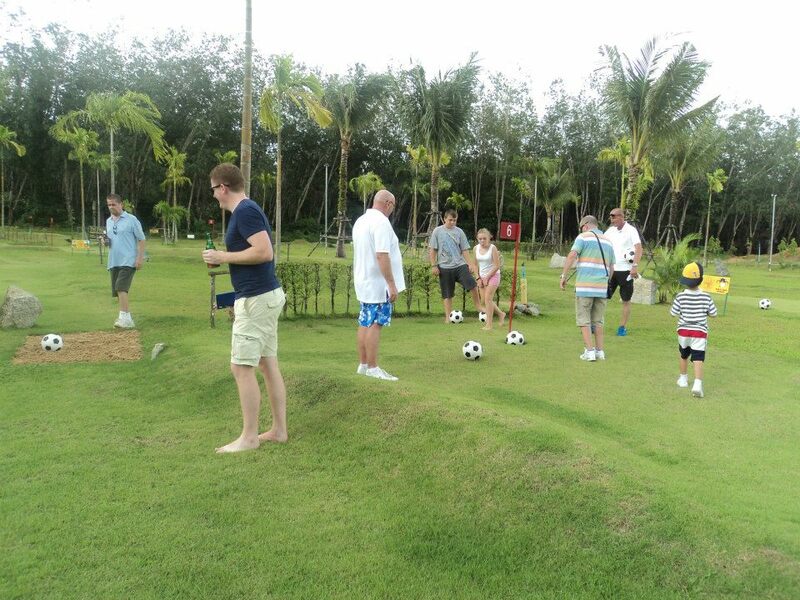 Football Crazy Golf is a fantastic, fun game that is perfect for anyone of any age. The purpose built 18 Hole, 69 Par course is ideal for a family outing and just excellent for groups of friends wanting a laugh-a-minute experience. 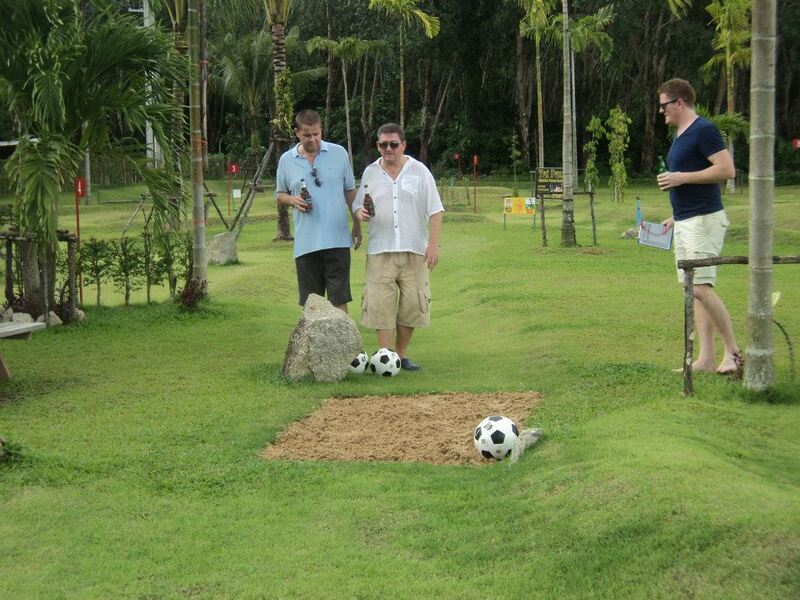 Basically, Football Crazy Golf has the same rules as a normal game of golf (although not quite as strict!) but instead of clubs and a golf ball, you kick a football around the course, with the aim to getting it into our custom sized ‘big’ holes in the least amount of shots. Simply put, it’s an absolute great way to spend an hour or two outside in the tropical climate, with family or friends, having a laugh…! 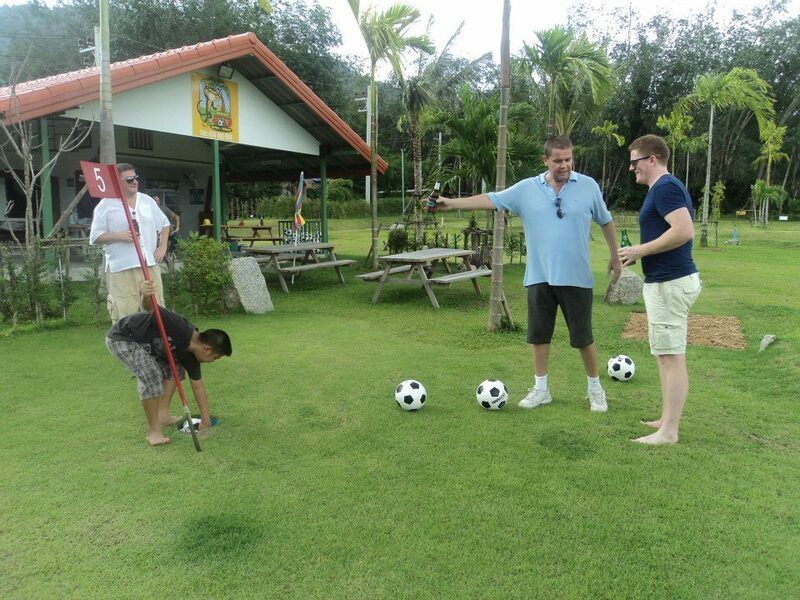 Come along to Football Crazy Golf in Kathu, Phuket and get named or shamed on our leader board or even try for a hole-in-one whilst enjoying refreshments that are available all day. 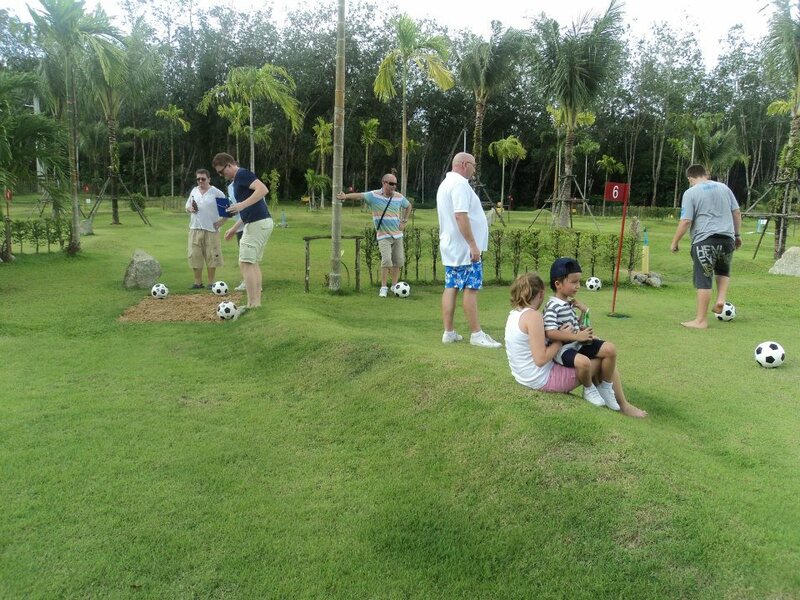 Currently the only Football Golf course in Phuket, this specially designed course means that anyone can play, regardless of experience, size or age so if you’ve been looking for a load of fun, get yourself down to Football Crazy Golf, we’re sure you’ll want to come back again and again. Football Crazy Golf is a Fantastic Fun Game. Any age can play. It has a purpose built 18 hole 69 Par Course great fun for families or couples or large groups of competitors wanting to have a great laugh and fun day out. The clue is in the name if you have played Crazy golf this is a remix of that game but with a football and larger targets. You can plan like a normal game of golf, but much more fun and laughs to be had. We have a leader board which you can be added to be named or shamed but it is so much fun a great day of fun. Open for anyone, no experience necessary just a fun attitude, any age can play once you have tried it your sure to be back to beat you score again, good atmosphere, great company, great service, great refreshments to be had. 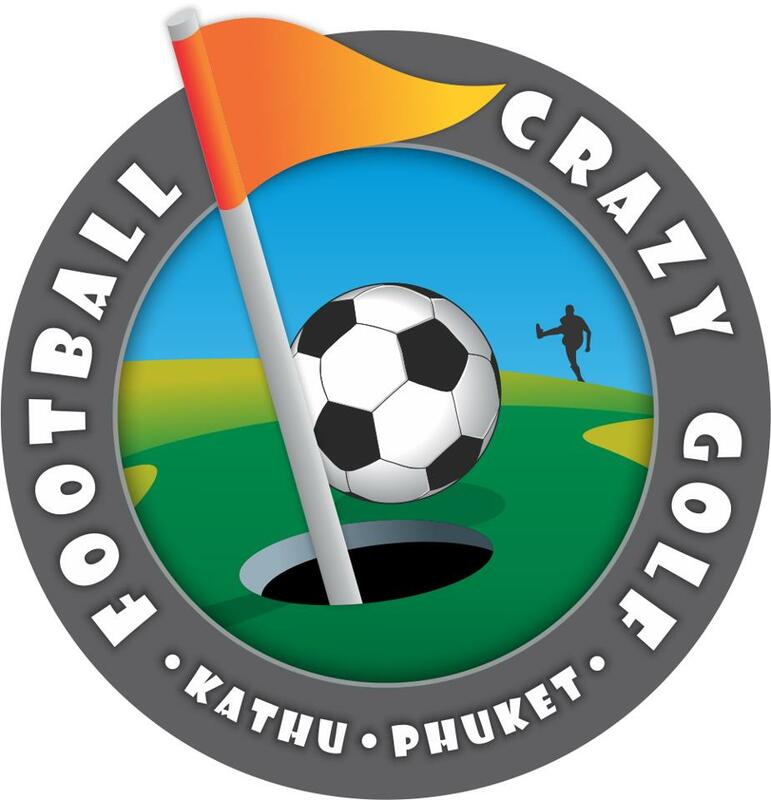 https://www.facebook.com/footballcrazygolf.phuket why not have a look at his facebook site (and like), he is awaiting the opening of his website pages. I have included some pictures of the site and people who have been to FOOTBALL CRAZY GOLF and have enjoyed a great day out with Peter and his family, a warm welcome to all who visit. You can send him a message for further information. These are pictures of holiday makers at the Football Crazy Golf site this weekend, great weather, great company, great fun for all………………….